This is the version update history for SWMinis. 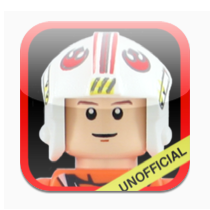 86 new minifigures were added. They are from the summer wave of 2014, a few missing other figs like Darth Raven, The Luke from the book, and the Sandcrawler, and few others from previous years. Also added the figs from the January 2015 wave of sets of course . In all this update is the largest content update ever and contains figures from 32 sets. Also included the three holograms versions of Palpatine and the new Dewback from the Cantina set. Added 32 new 2014 minifigs! Also added the three figures from the Holocron Chamber. Displaying our unique figure code for reference in the lower left corner. Most ever in one update! 58 new figures including the Entire Summer wave, the Ewok Village, the 2013 Advent Calender, Planets Series 3 & 4, and a few promotional figures such as NY Yoda. 27 new Minifigs from the January wave. Added 13 Creatures! Added the 'My Minis' tab screen to see your collection on one screen. This was the #1 requested feature! Also added a second collection screen - a large sortable grid of larger thumbnails. Added a new sort order by major figure or group. All figures can be seen by grouping (Jedi, Bounty Hunter, Luke, Ewok, etc.) Added red and blue flags - use them how you like to mark figures you want, need, lost, have missing parts, etc. Filter by red of blue flag on the My Minis screen. The app requires iOS6 now because the grid layout is iOS6 only. Major code improvements. Photo Corrections: Aerial Clone Trooper, Darth Malgus. Hilts are now correct between chrome, gray, and the newer metallic. Lightsabers are also correct between 'green' (appears yellow) and bright green. Larger iPad tablelist thumbnails. Set titles with no figures are marked as gray in the set list. Lists are now sorted alphabetically within the ratings and years table sections. Clone Trooper naming is improved. 16 new figures including the 8 new ones from the Advent Calendar. All 32 of the Summer wave, and 12 more (Microfigs and 2 promos). Total overall and by year, mark a set as complete, link to Bricklink website info. January Wave of 26 new minifig styles, and two others. SWMinis is now a Universal App! When used on an iPad, the app will automatically adjust to use the larger screen size. Goodbye 2x mode. This was a feature requested by you. Eight including Santa Yoda, Young Han Solo, Dengar from the Super Star Destroyer, and some others released since the summer wave. All 34 new Summer 2011 Minifigs! Find minifig styles in a particular set by set name, number, or year. same question as cyril. hoping for a new update soon, and possibly include bricklink numbering. There hasn't been an update of SWM since April 2014. When can we expect a new one? Will you be updating this app again? Update was submitted last weekend - hopefully it is approved and should go live this weekend (3/14).